MARIAH CAREY H.A.T.E. 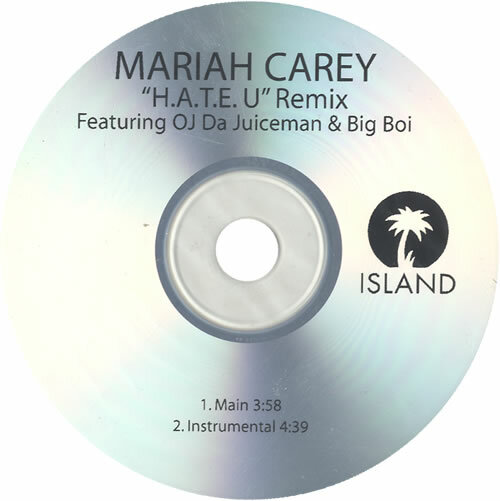 U Remix Featuring OJ DA JUICEMAN & BIG BOI (Official 2009 US Island label 2-track promotional only CD-R acetate featuring the Main and Instrumental versions. Custom printed disc title/tracklisting details plus Island logo, housed in a generic card wallet sleeve).